Watch this coming Monday February 20, 2012 "Nandito Ako", the much-waited drama only premiers on TV5 kapatid network. 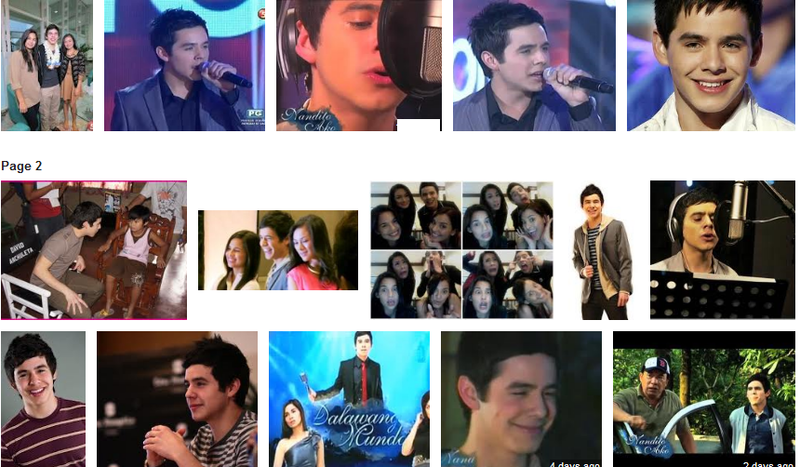 The "Nandito Ako" movie top bills David Archuleta with Jasmine Curtis Smith and Eula Caballero. The Story. David Archuleta will play as Josh Bradley, an international singer and now for TV5 kapatid actor will team up Holly (Eula Caballero) during one of his promotional movie of Nandito Ako with her best friend, Anya (Jasmine Curtis Smith). According to the story, Josh Bradley was born and raised until he was 5 years old when he got separated from his mother during a hotel fire accident happen. After the incedent, he later moved to USA which then became an international singer. Josh came back to Philippines to find what really happen to his mother and then search for the girl he befriended during the hotel fire in the past. Watch the Nandito Ako which tells the story of young love, its joys and pains as related by the characters of Josh (David Archuleta), Anya (Jasmine Curtis Smith) and Holly (Eula Caballero). Performed by David Archuleta, composed by Aaron Paul del Rosario and re-arranged by Jay Durias. Watch this "Nandito Ako" mini serye as it premiers this coming Monday only on TV5!